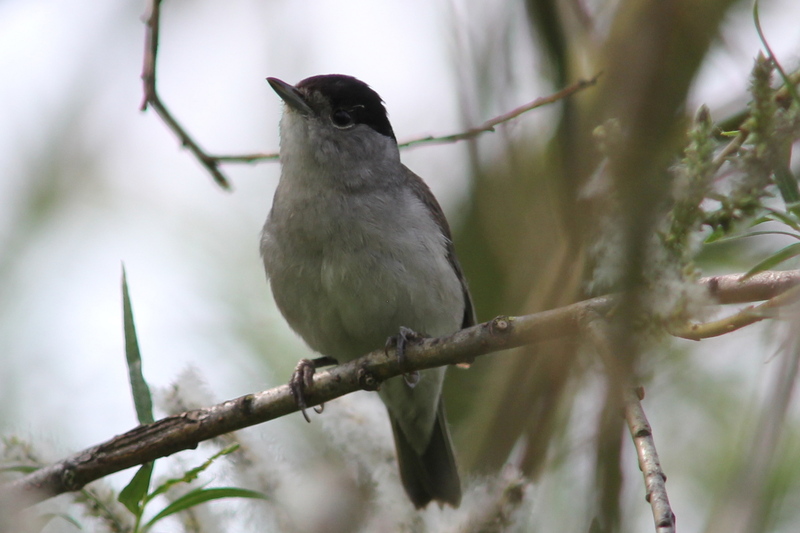 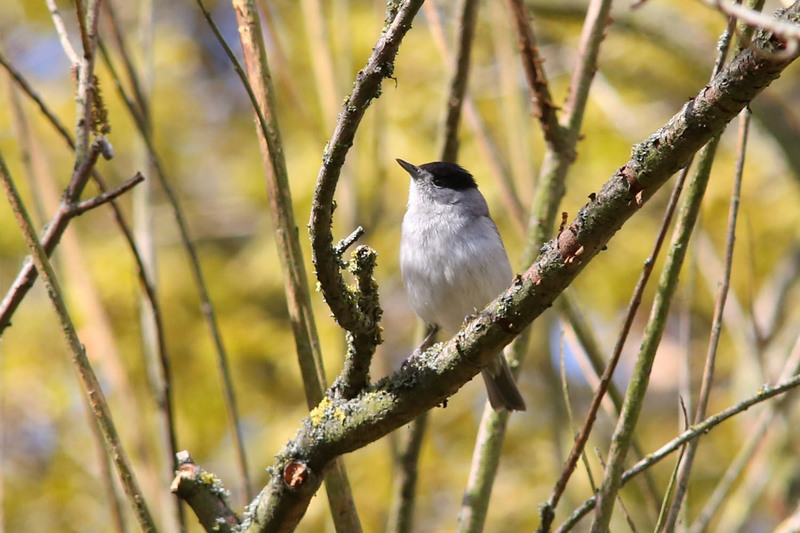 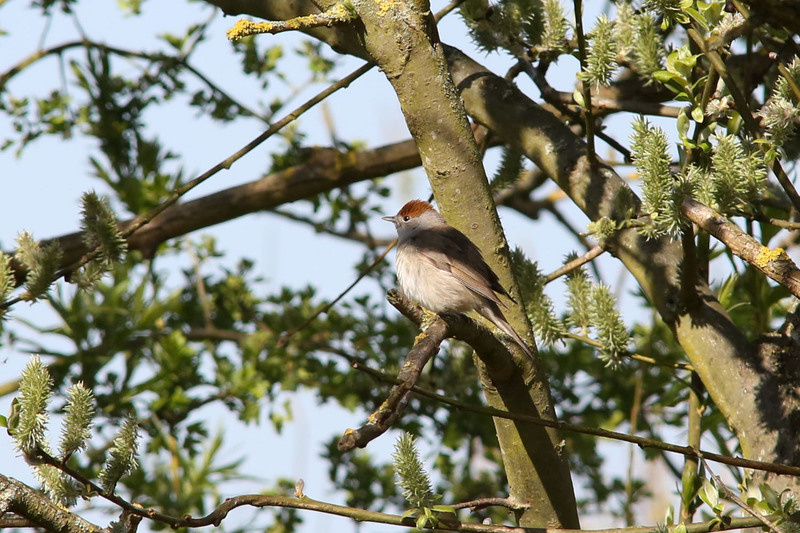 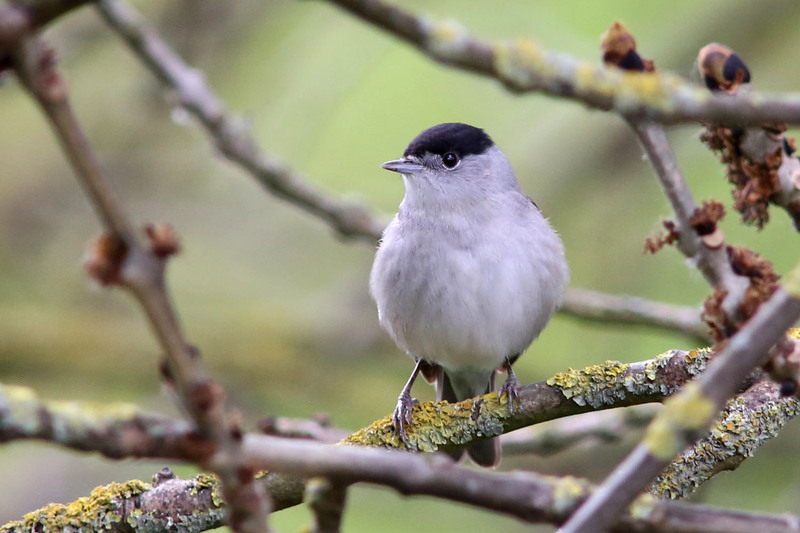 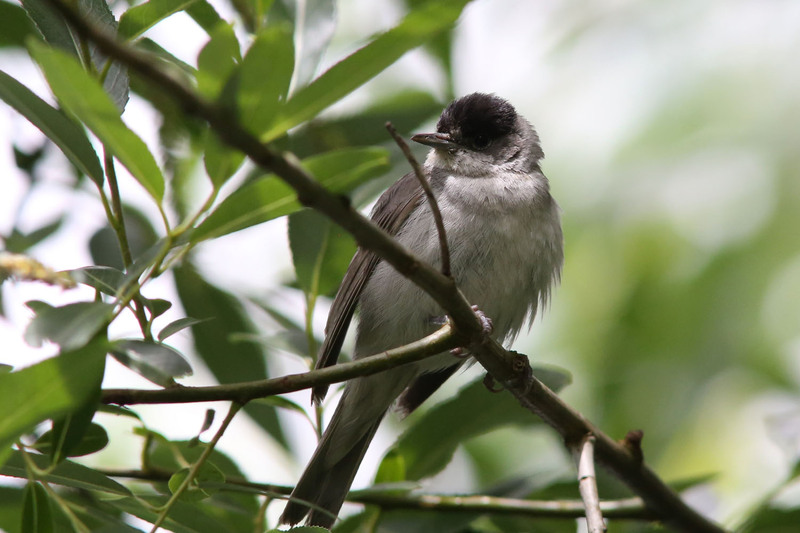 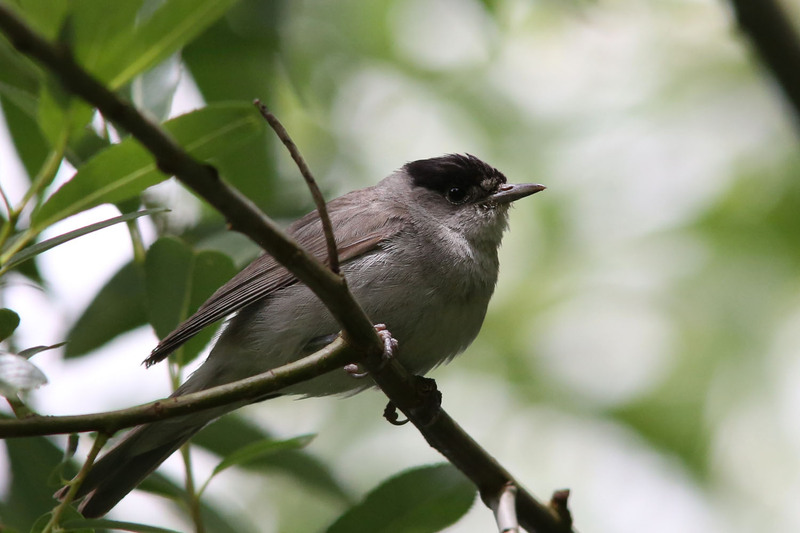 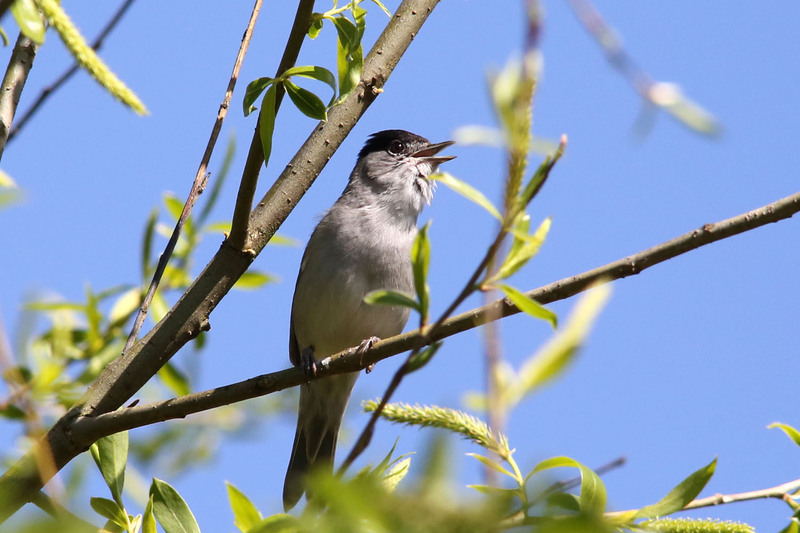 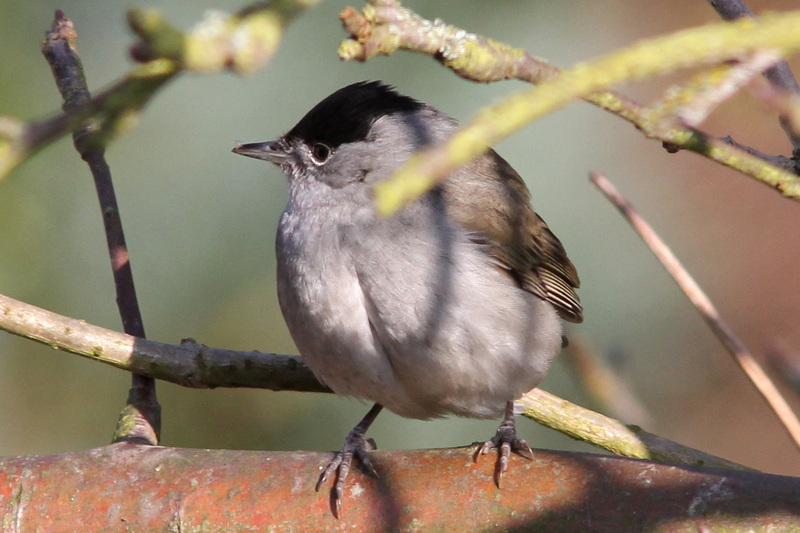 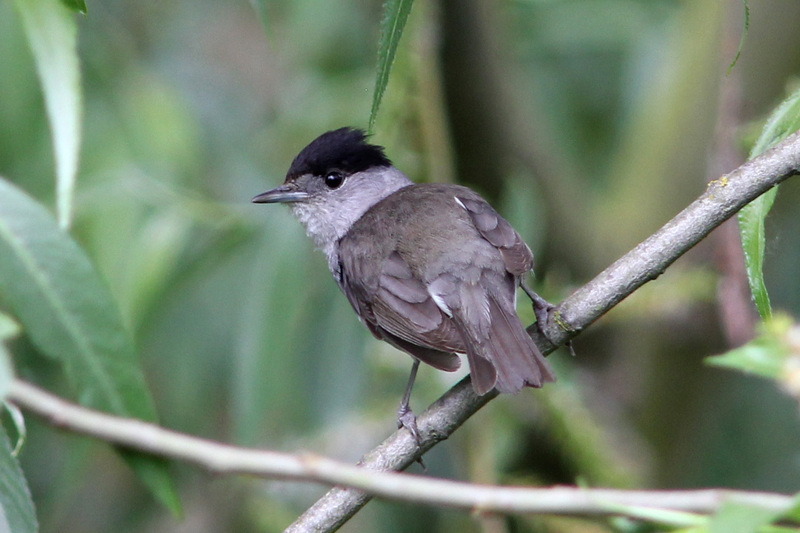 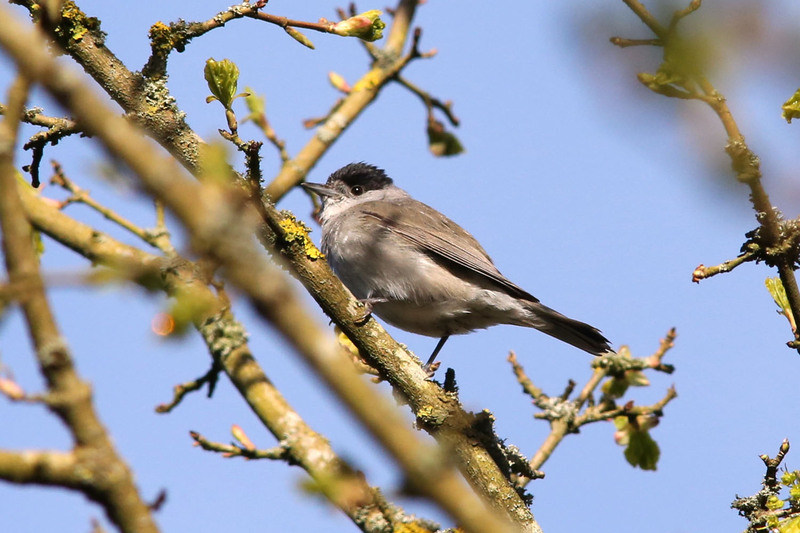 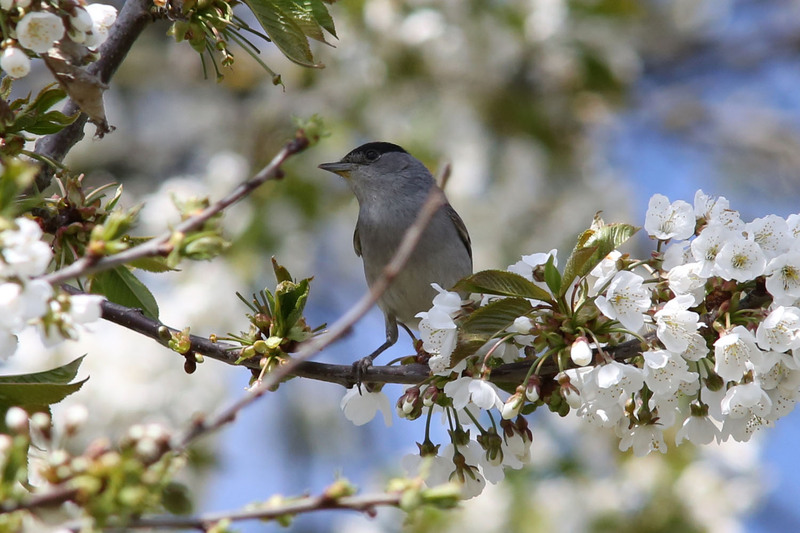 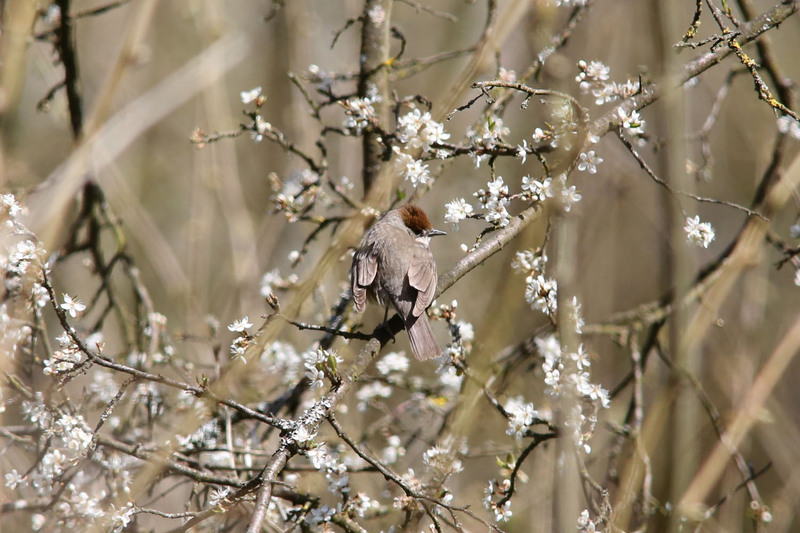 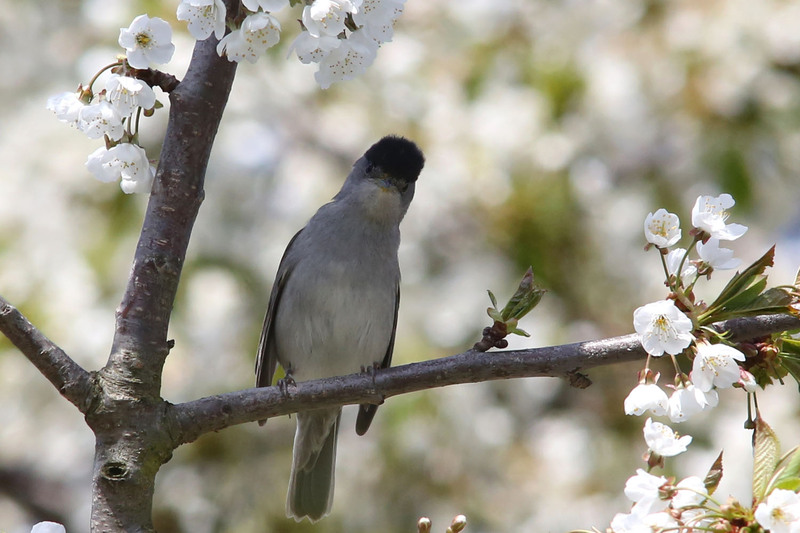 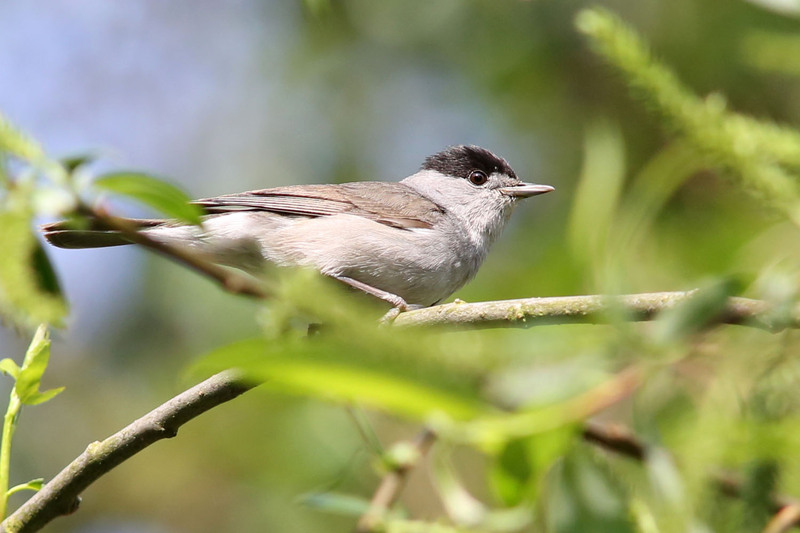 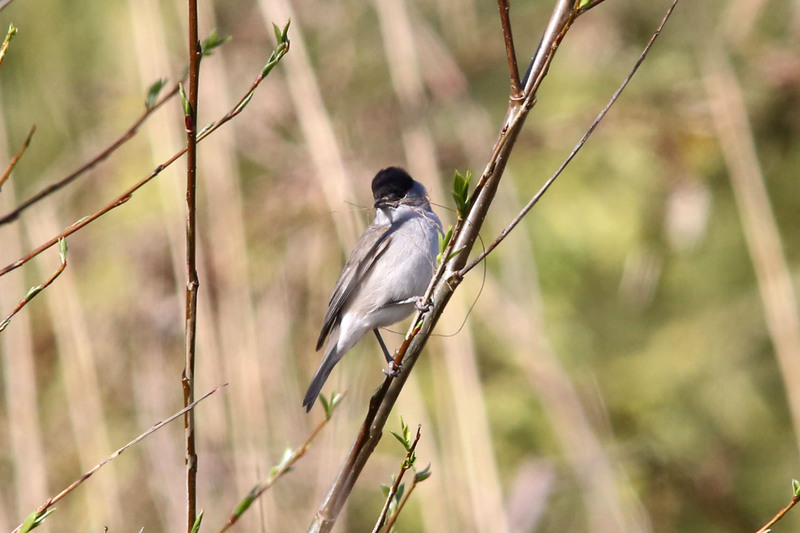 The Blackcap used to be thought of as a Summer visitor to the UK, but these days you're just as likely to see one at any time of the year. 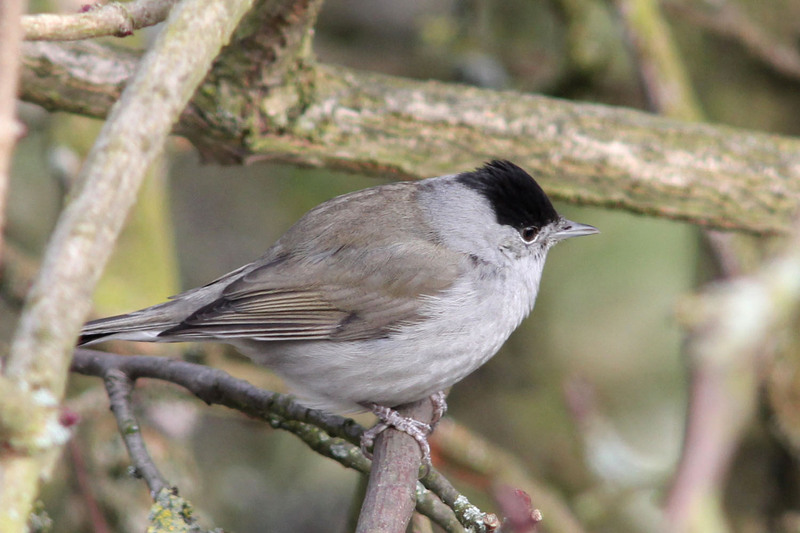 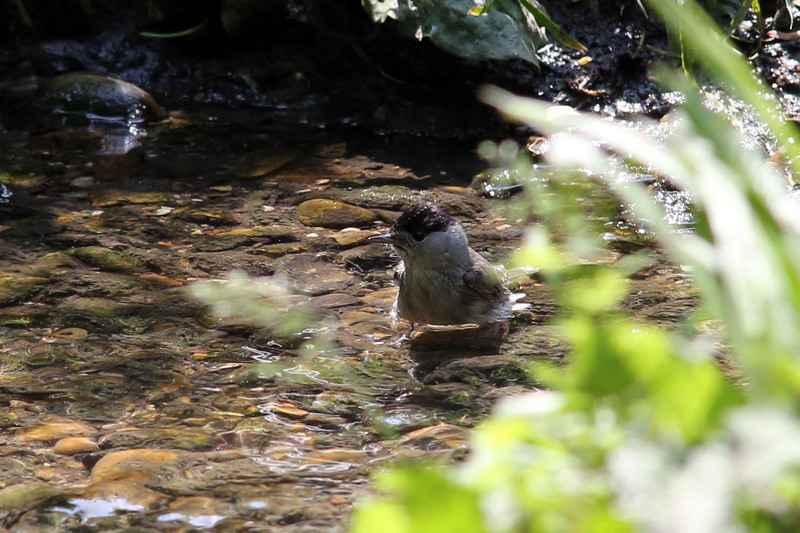 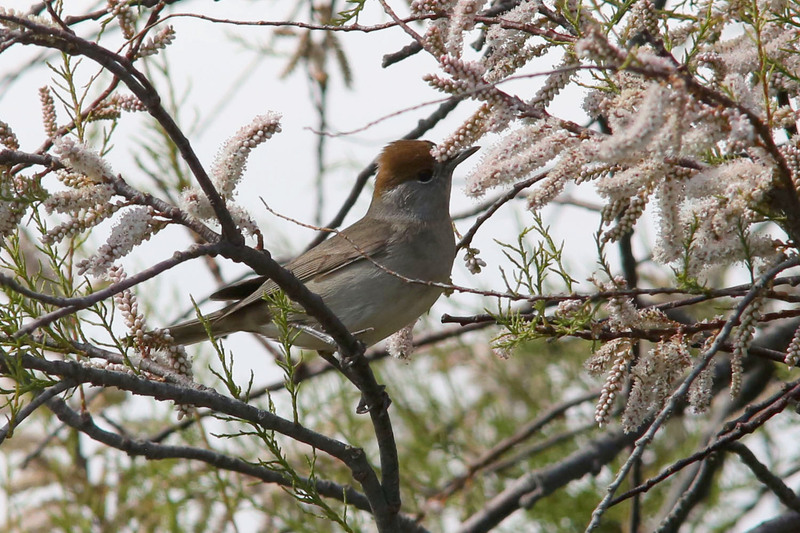 The male bird has the black cap to the head, whereas the female has a similar brown cap. 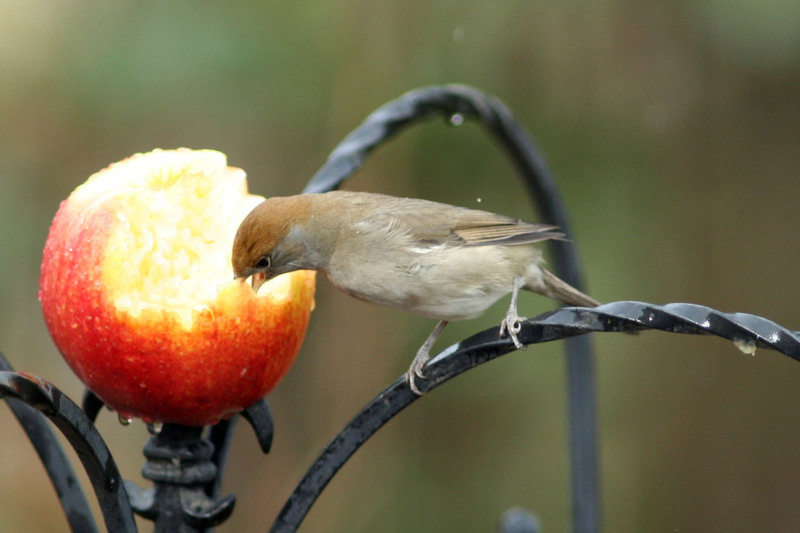 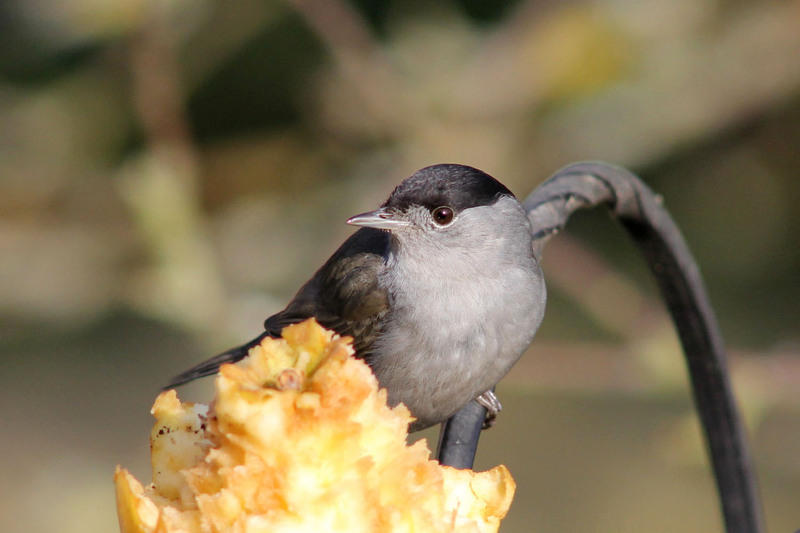 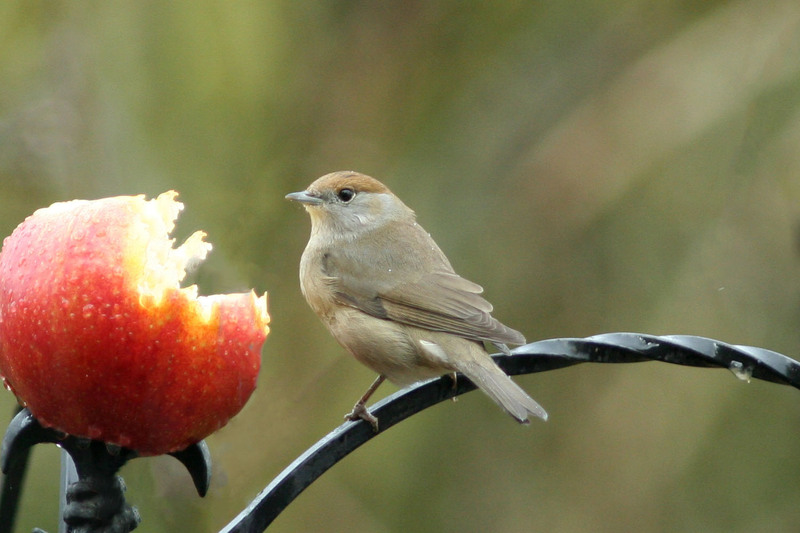 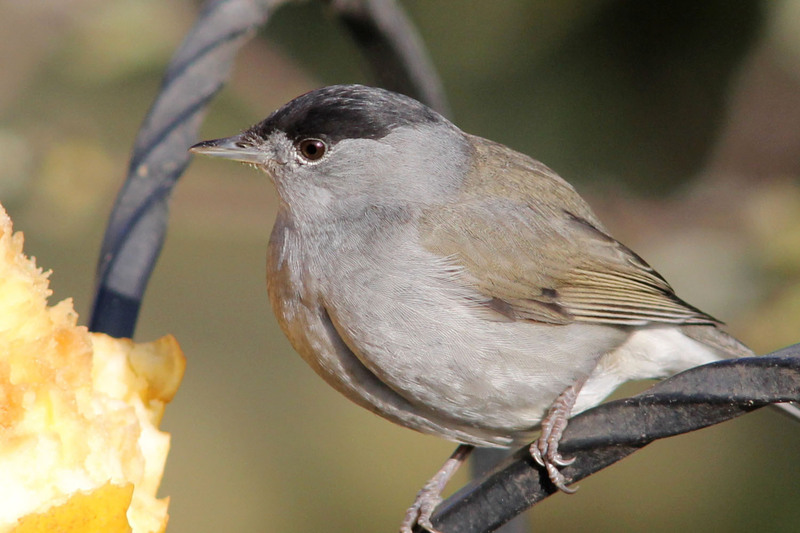 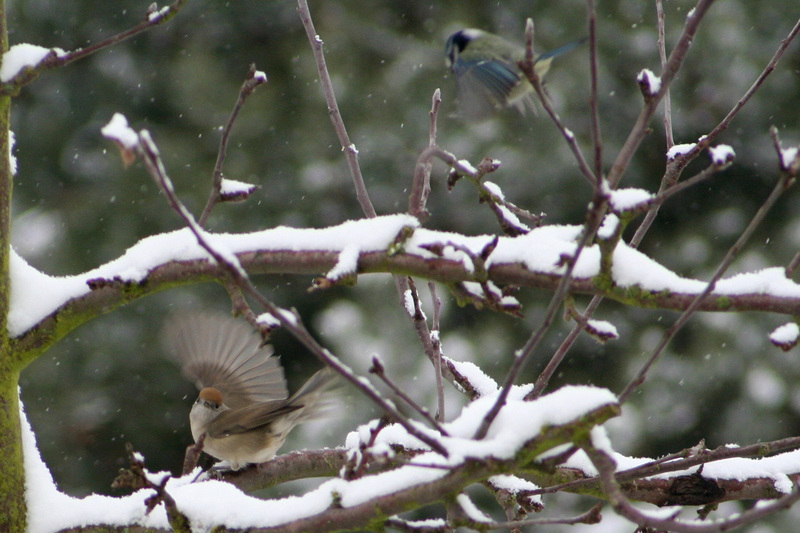 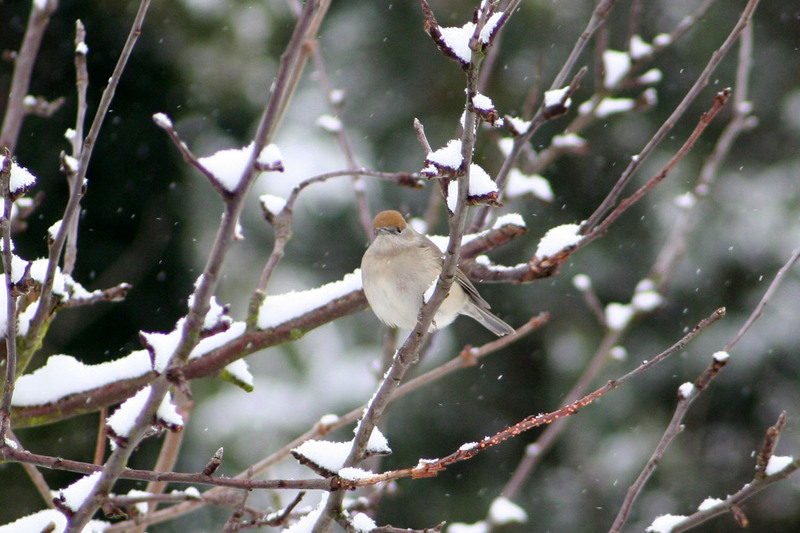 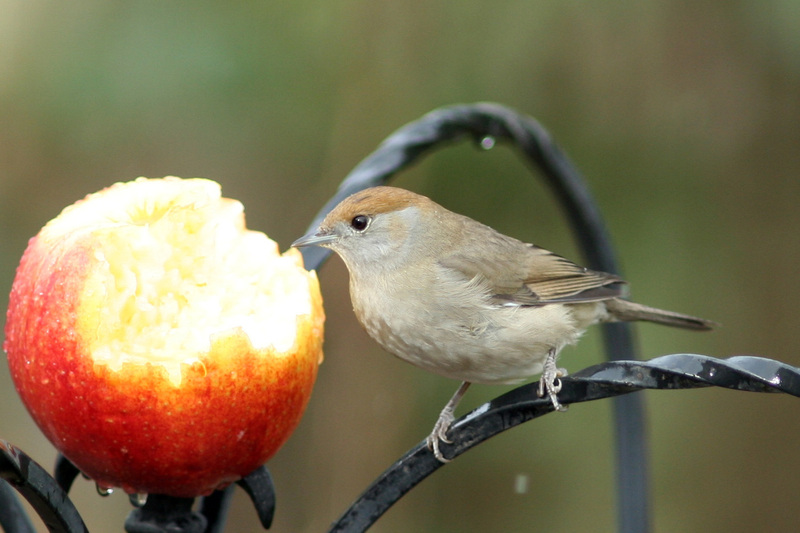 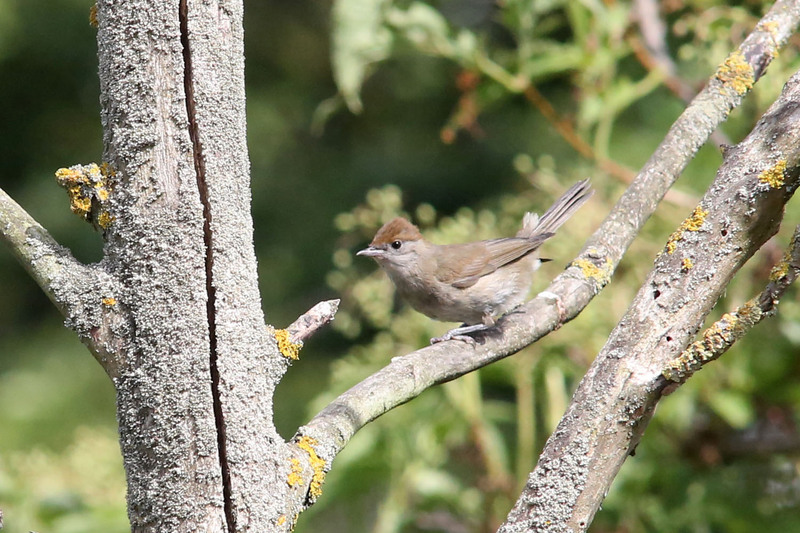 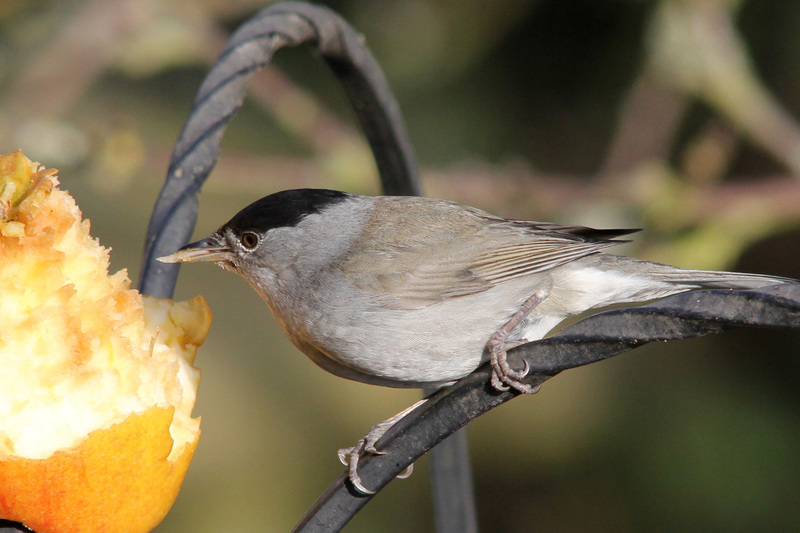 As you can see from the photos Blackcaps will come to the feeder station or bird table and take apple or other fruit. 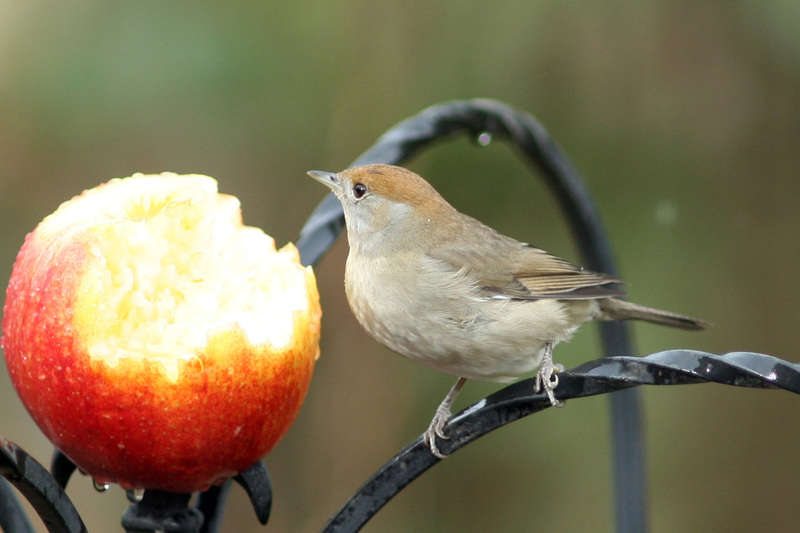 A male Blackcap taking some apple that's been placed on top of the bird feeder.